A work crisis, a funeral and a deadline have made this week rather chaotic for me, so it is time for a roundup post! When book jackets lead me to expect something and then do not deliver, I learn the importance of correctly identifying one’s story hook. I pinpoint the three main reasons I stop reading and make a checklist to ensure I don’t make the same mistakes in my own novel. I examine why character change makes a story worth reading. I outline the three steps of creating character change so it evolves naturally and doesn’t appear out of nowhere. Is Your Story Ending ‘Right’? It’s hard to get an ending just right, but I’ve come up with three steps to help. Can unreliable narrators work when written in 1st person tense? It’s tough but doable, so I study two novels that did it well. I examine two common situations where heroes lack motivation, then offer solutions. Hope you learn as much from those posts as I did! And next week, if the world doesn’t throw me another curveball, I’ll be back with a new blog post. PS – A great resource for studying stories to learn writing craft is The Story Structure Database. Check it out! 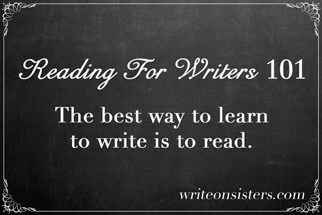 I think that’s true of a lot of writers – we’ll never simply be readers anymore. Then again, every once in a while, a book sweeps me away so completely that I stop reading like a writer and become pure reader. Those moments are great! But so rare. This is great info Heather. I’ll be using this after I finish my non-fiction book. The next one is science fiction. Awesome! That’s nice to hear. Good luck with both books! I’ll be digging into these over the next couple of days; things are crazy here, too. Thanks for this! As usual, great info., Heather. Thanks, Sue! At least your busy reason is more exciting than mine. Congratulations again on the publishing deal! So glad you brought these issues to light. I actually just finished a book yesterday. I was thoroughly enjoying it … but, the ending let me down. In my reflection of why, it’s because when it was all said and done, there was basically no character change. Yep, lack of character change is a biggie! Thanks for the comment, Diane! It looks like there’s an awful lot there that I need to look at. Thanks for the post. I will check out the articles.